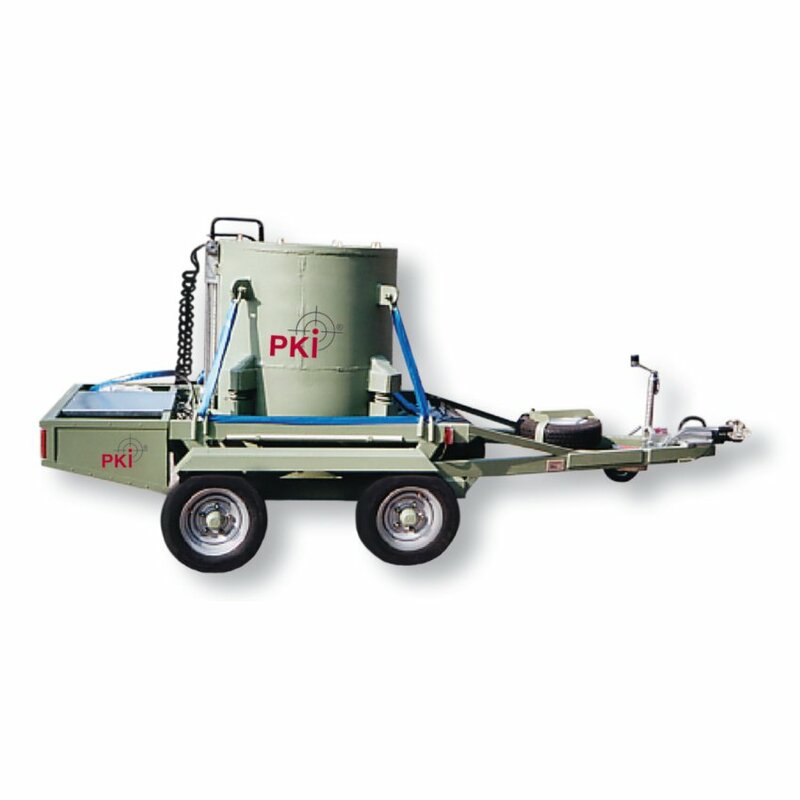 The bomb trailer system was developed to enable inexperienced operators to remove a suspect explosive device to a safe location where it can be examined or destroyed in safety. This system consists in a specially designed bomb container mounted on a four-wheeled trailer which can easily be towed. The container is made of two layers of high-strength, high-impact 40 mm ballistic steel. Due to its special design the unit is able to transport an IED containing up to 4 kg of TNT. The suspect object is picked up by means of a hand-portable telescopic manipulator that is included in the system.